Output with high efficiency: Standard discharge current is 0.5C, instantaneous discharge current is 3C. High capacity, providing more energy in smaller volume. Why you choose Soundon New Energy? 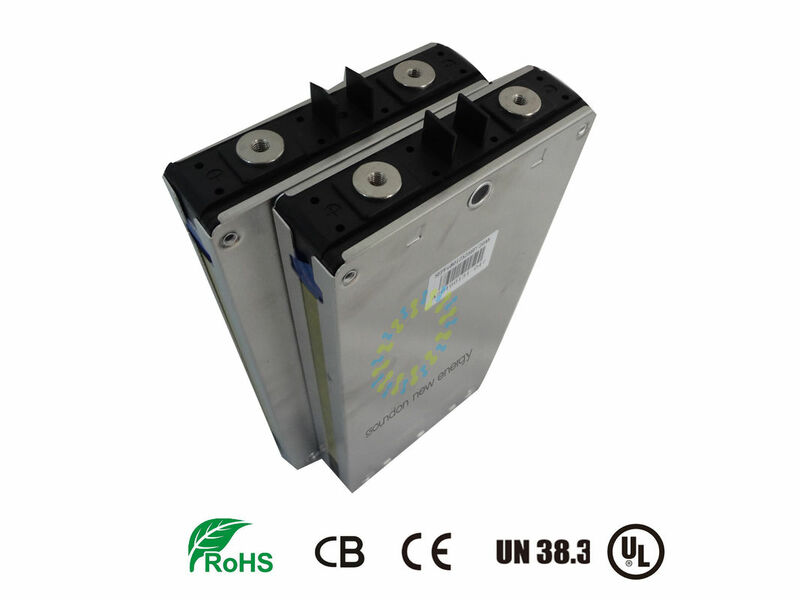 Soundon New Energy is a professional lithium batteries manufacturer with ISO9001 and ISO/TS16949 certification, specializing in LiFePO4 batteries and NCM batteries with CE, CB, RoHS, MSDS certifications etc. We can provide customization, global after-sales service. A creative R&D team and a QC group of good responsibility. International advanced automatic production and inspection equipment fully installed in UL safety Testing lab & Battery performance Testing lab. Our production is under strict control of RoHS, providing environmentally-friendly products. Hunan Soundon New Energy Co., Ltd.
China Good Quality Rechargeable Lithium Ion Batteries Supplier. Copyright © 2016 - 2019 carlithiumbattery.com. All Rights Reserved.